The smartest grow operations are focused on keeping up with the latest trends. Hiring Chetu to handle seed to sale and dispensary software is a great step toward that. Track your grow facility, dispensary or inventory with our custom software solutions. We program cannabis seed-to-sale processing software and workflow management apps. Our grow facility solutions include environmental and irrigation controls, seed and plant inventories, propagation metrics, and harvesting schedules. We interface best-in-class surveillance devices with employee tracking software in order to create more detailed audit trails. 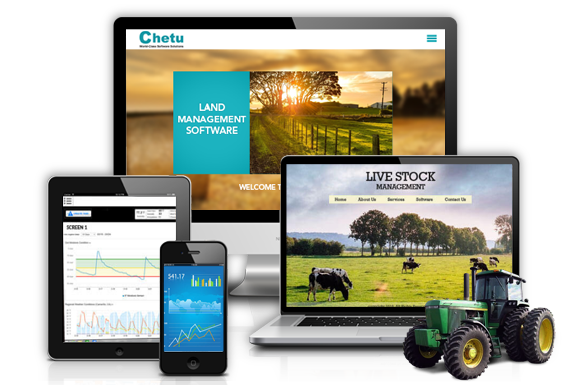 Chetu's custom e-commerce dispensary software include digital storefronts and shopping carts, catalog and inventory optimization tools, secure payment portals, delivery tracking apps, marketing automation tools, back-office management dashboards, and membership profile databases with order and preference histories. Our multisite seed-to-sale retail management systems are integrated with tools for inventory tracking, greenhouse and vendor coordination, scheduling consultations, and facility management. We develop and integrate custom and third-party systems for accounting, Business Intelligence (BI) and sales analytics, Human Capital Management (HCM), and franchise development. Tracking products through the entire seed-to-sale lifecycle is key to remaining compliant and preventing loss. We use detailed grow diary apps, audit trail programs, and asset tracking tools (RFID, QR, barcodes) to maintain logs of GPS locations, batch yields, and personnel lists of who interacted with every plant and product. Our transportation management apps track driver credentials, vehicle information, and travel histories. Our custom dispensary POS software and self-service kiosks include picture menus (for flowers, seeds, mother plants, clones, edibles, extracts, and accessories), integrated barcode and ID scanner software, counterfeit tools, and security features like Role-Based Access Controls (RBAC). We design all systems for optimal scalability to handle opening days, transitions to recreational retail, and compliance changes. We engineer lab management and strain development tools for tracking THC/CBD potency, sativa/indicia ratio, additives, grow conditions/techniques, contaminants, and plant notes. Our Material Requirements Planning (MRP) systems include apps for Economic Order Quality (EOQ) assessments, compliant labeling, waste management analysis, automated re-ordering, and delivery tracking. We develop consumer mobile apps for locating dispensaries, making online purchases, and scheduling deliveries. Our mobile budtender apps allow users to check inventories, create shopping carts, and consult product knowledge bases while on the floor. We perform custom integrations with third-party marijuana software APIs from StickyGuide, Weedmaps, and Leafly. Our team of programmers at Chetu integrate retail seed-to-sale software with CRM modules for managing loyalty programs, medical patient documents and information (insurance, referring physicians), sale limits, and automated discounts based on strain type (sativa, indicia, hybrid), THC/CBD levels, age, and condition. Chetu's agriculture software specialists comply with federal- and state-level regulatory standards set by the U.S. Department of Agriculture (USDA), Office of National Drug Control Policy (ONDCP), Food and Drug Administration (FDA), Food Safety and Inspection Service (FSIS), Environmental Protection Agency (EPA), and the National Pollutant Discharge Elimination System (NPDES).